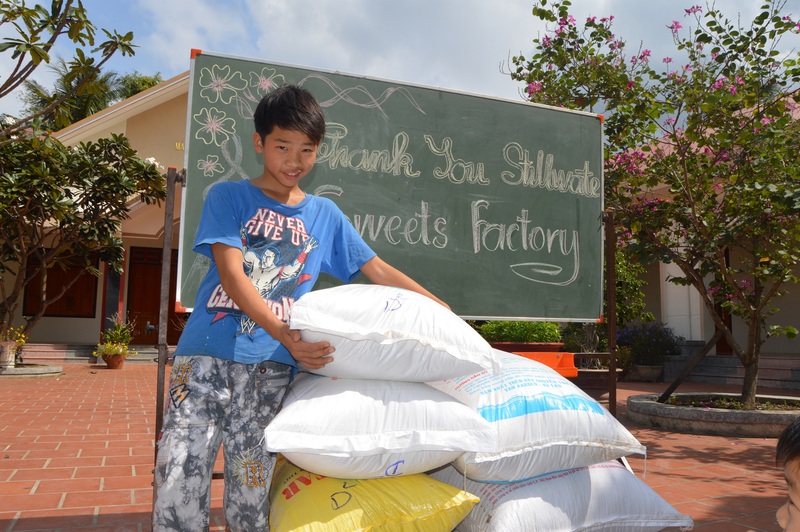 On January 16, 2016 we brought a large supply of rice to the Nhan Ai Orphanage in Cam Ranh. 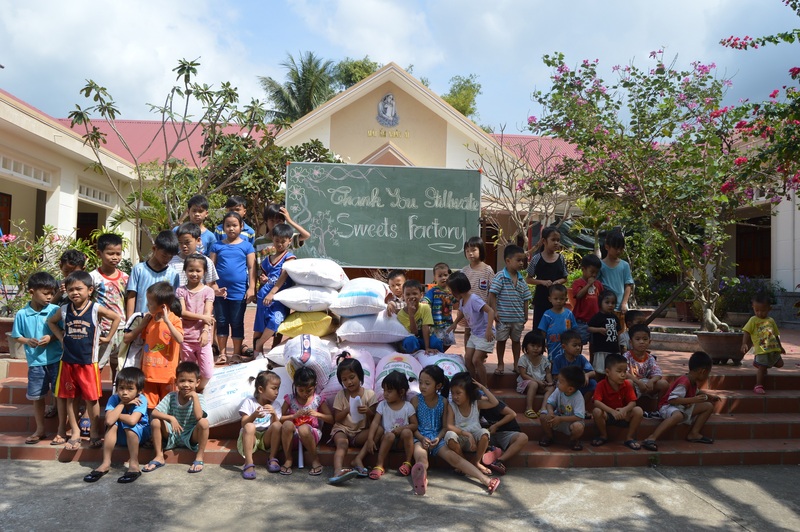 The Nhan Ai Orphanage is the largest cause that we support, with over 130 orphans under its care, and with so many mouths to feed, rice is their primary food source. While the Vietnamese lunar new year, Tet, is an exciting time of year, an unfortunate byproduct is that prices for everything nearly doubles just before the holiday. 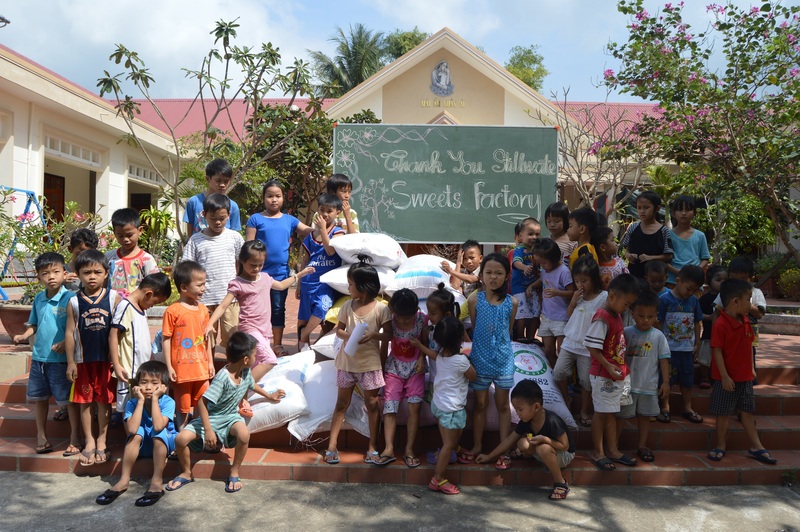 When we asked sister Huong what the orphanage’s most pressing needs were, she requested a large quantity of rice to last the orphanage through the new year, which will occur next month. 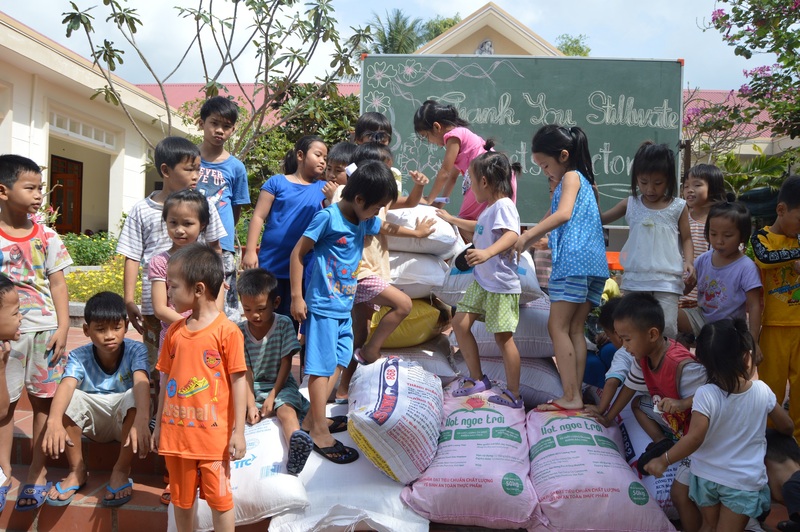 So, with prices still at normal levels, we brought the orphanage an enormous amount of rice to last them a good amount of time. The children, naturally, couldn’t resist climbing atop the stacked bags like a playground. 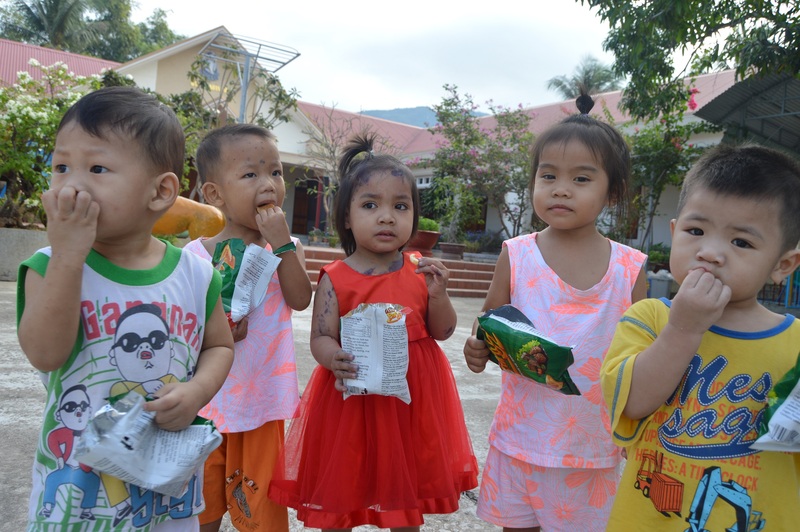 As with all of our visits, we also handed out small snacks to the kids to make it a fun occasion. 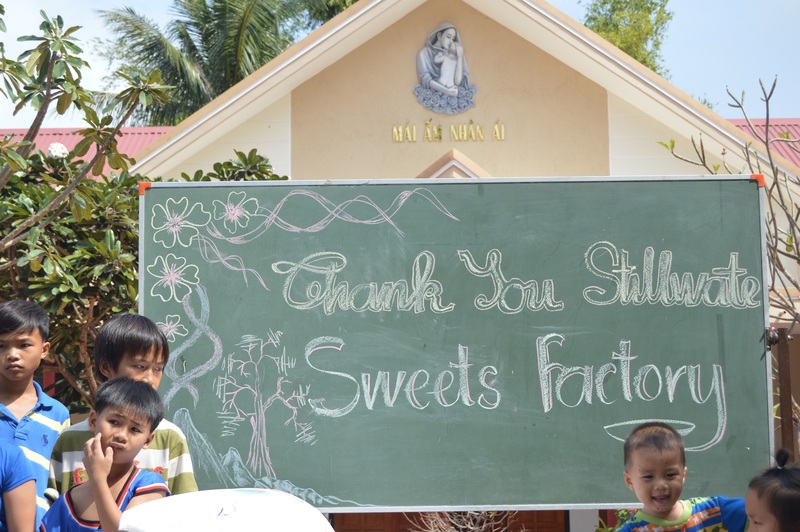 This vital and timely donation was provided by the Stillwater Sweets Factory in Australia. Thank you!